The location is great. The view both on the side of the sea and the mountains is good. Enough place to park the car any time. The room had a balcony. The location was exactly what we were looking for. Small, quiet village with lovely, very helpful people.. The breakfast was perfect, fresh every morning. The place is only few mins walk from the beach. The owners are really helpful and nice people. We are really thankful that we stayed here. Nothing fancy, perfectly enough for a calm, relaxing holiday. Kalami Was an amazing place to stay, the people ( Giannhs and Popi) where so nice and welcoming. One of us is Vegan and they brought us extra fruit for breakfast and tried to help our needs as much as possible. plus - my partner got hurt in his leg on the last day, they drove especially for us to the pharmacy to get a bandage and brought us breakfast to our room. they were so nice and communicative, really appreciate it. The room is simple but clean and very close to the beach, with view to the water. the beach is clear and with no waves! was amazing stay. thank you again! The view from the balcony was perfect- the sea and the mountains. It wasn't noisy at night, the neighbours were quite. The hosts were very kind and helped in everything we needed free of charge (even printed some documents we asked). The breakfast is good and tasty. The walk from the hotel to the beautiful beach - about 5 minutes. 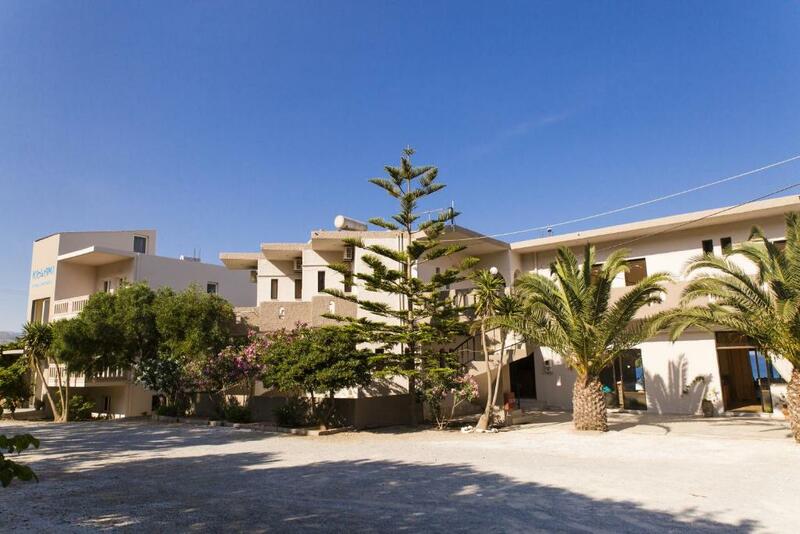 Walking distance to the stunning beach of Falasarna. Our flight came in late from Athens to Heraklion. We had to drive almost 3 hours to the apartment, and we were running late. The lady at the apartment met us at 1 am (reception closed at midnight) to give us the keys. We were extremely grateful! The breakfast every morning was also amazing. We also had a sea view room which was beautiful - very close to the beach. Lock in a great price for Kalami Rooms & Apartments – rated 8.2 by recent guests! 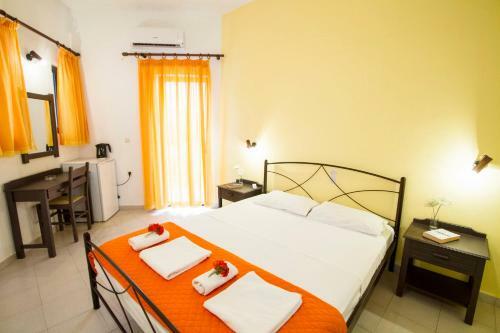 One of our top picks in Falasarna.1,000 feet away from Falasarna Beach, Kalami Rooms & Apartments features a traditional restaurant and rooms with a private balcony, some with sea views. Free on-site parking is available. 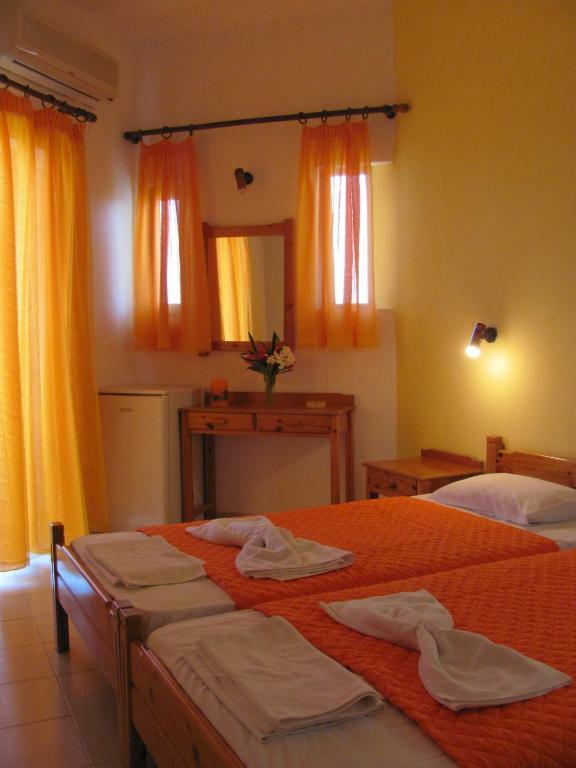 The air-conditioned rooms at Kalami come with a refrigerator and a private bathroom with shower. Some units also include a kitchenette with dining and seating area. 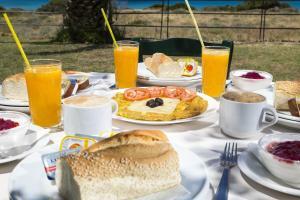 At Kalami restaurant, guests can start their day with breakfast prepared daily. The 24-hour front desk can provide information about the attractions of the area and arrange for car rentals. The town of Kissamos is a 20-minute drive away, while the scenic city of Chania is at 31 mi. When would you like to stay at Kalami Rooms & Apartments? Opening to a balcony with mountain view, this room has air conditioning and a fridge. 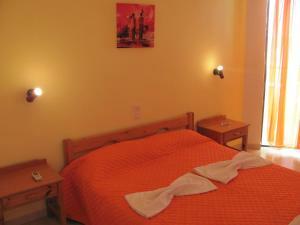 Enjoying Aegean Sea view from its balcony or patio, this room has air conditioning and a fridge. This room is located either on the ground floor with direct access to the grounds or to the upper floor with Aegean Sea view from its balcony. It has a sitting area, air conditioning and fridge. House Rules Kalami Rooms & Apartments takes special requests – add in the next step! Free! One child from 3 to 6 years stays free of charge in a crib. Kalami Rooms &amp; Apartments accepts these cards and reserves the right to temporarily hold an amount prior to arrival. Kalami Rooms & Apartments accepts these cards and reserves the right to temporarily hold an amount prior to arrival. Please inform Kalami Rooms & Apartments of your expected arrival time in advance. You can use the Special Requests box when booking, or contact the property directly using the contact details in your confirmation. You could hear the guests is the rooms above/next to yours. The shower is small and it only has a short curtain so it's easy to make a mess, unfortunately. We booked a room with mountain view, but since the hotel wasn't full they gave us one with sea view and the views from the balcony were amazing. The breakfast was generous and you can also enjoy the sea view while eating. The shower is as hot as you want and has good pressure. The owner was nice. There are many parking spots directly at the hotel. Everything. No electrical sockets in the room apart of one, very high on the wall, so charging a laptop is very difficult. Little space in the room. The hosts were nice. Rooms are a little expensive compared to the other apartments in the area considering that they don’t have a small kitchen like the others. The furniture is old, but it does the job (new matresses would help). We were able to check in early and make the most of our stay. The complimentary breakfast is superb! Generous serving of bread, jams, fruits, cheese pie or eggs. Good coffee and fresh orange juice to perk up your day! The hosts Popi and Giannis are friendly, helpful and accommodating. There was only one socket in the room. The staff was helpful and answered all the questions we had on arrival. The location of the property is good, 15 mins walk to the marvellous Falasarna beach, 10 mins walk to the nearest supermarket. The room was quite big, with the air conditioner and balcony. Wi-Fi worked fine. I liked the breakfast, simple and tasty.